Andres Perez joined the University of Minnesota faculty in January 2014. Dr. Perez has held the Endowed Chair in Global Animal Health And Food Safety since 2015 and has served as director of CAHFS since 2017. 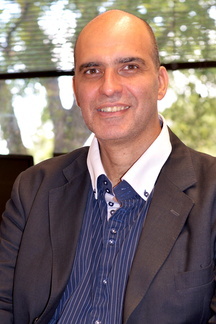 Prior to his position at the U, Dr. Perez spent 10 years as a post-doctoral fellow and researcher at University of California, Davis. From 2012 to 2013, he served as director of the UC Davis Center for Animal Disease Modeling and Surveillance. He is also currently an advisor on epidemiology for the Argentine Animal Health Service and for the Foreign Animal Disease Research Unit of the USDA Agricultural Research Service at the Plum Island Animal Disease Center. For listing of recent publications, refer to PubMed, a service provided by the National Library of Medicine.